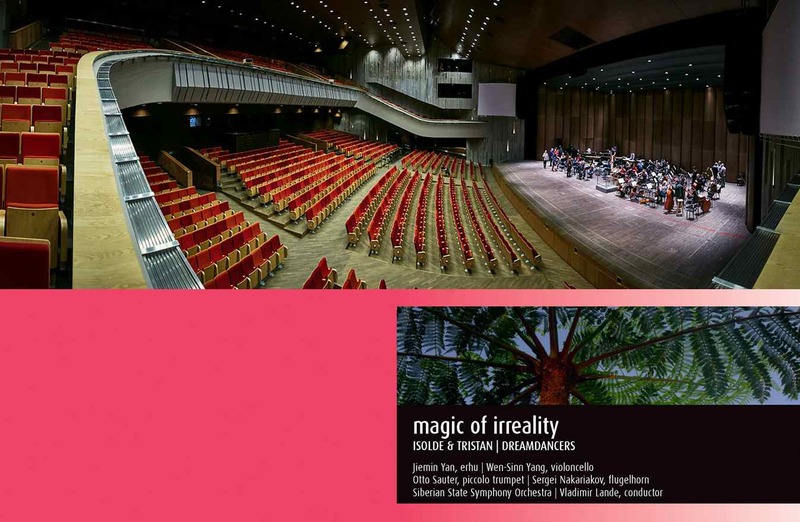 Enthusiastic reviews of the latest CD „MAGIC OF IRREALITY“ at Label WERGO distributed by NAXOS with two double concertos, recorded october 2017 with Siberian State Symphony Orchestra (Vladimir Lande, conductor) in Krasnoyarsk: Jiemin Yan (Erhu) and Wen-Sinn Yang (Cello) playing ISOLDE & TRISTAN, Otto Sauter (piccolo trumpet) and Sergei Nakariakov (flugelhorn) playing DREAMDANCERS. „Pizzicato“-magazine: „a music bursting out between real drama and scriabinesque unreality, between human emotions and a surreal flood of images!“ (N. Tischler). Or „BR-Klassik“ (Bavarian broadcast): „The un-heard, the fantastically absurd world, the fluid conversion between the contrasts is here the topic. And who could compose such boundaries more vividly than Enjott Schneider, who is bdoubtless one oft he most played german composers“.